The Leaning Tower of Pisa - Pisa, Italy. As Kayla and I were planning our 10-day-European-girlie-get-together, almost in unison, we exclaimed that seeing Cinque Terre, Italy was an absolute must! For centuries, that charming portion of the Italian Riviera has beckoned tourists to come and drink in the romance. We wanted to go and see what the big fuss was all about! 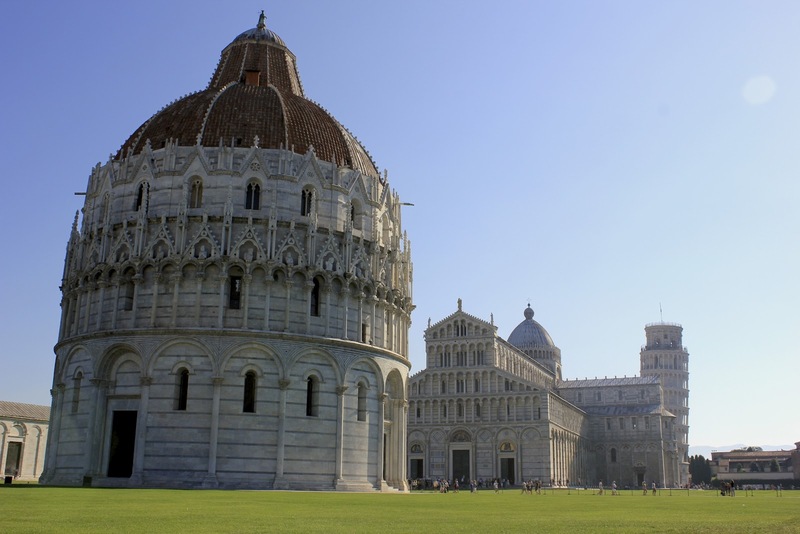 From Paris' Orly Airport, we booked a super cheap (only $25 per person) Easy Jet flight to Pisa, Italy. The flight was uneventful and actually put us on the ground ten minutes before the scheduled arrival. Way to go budget airline! 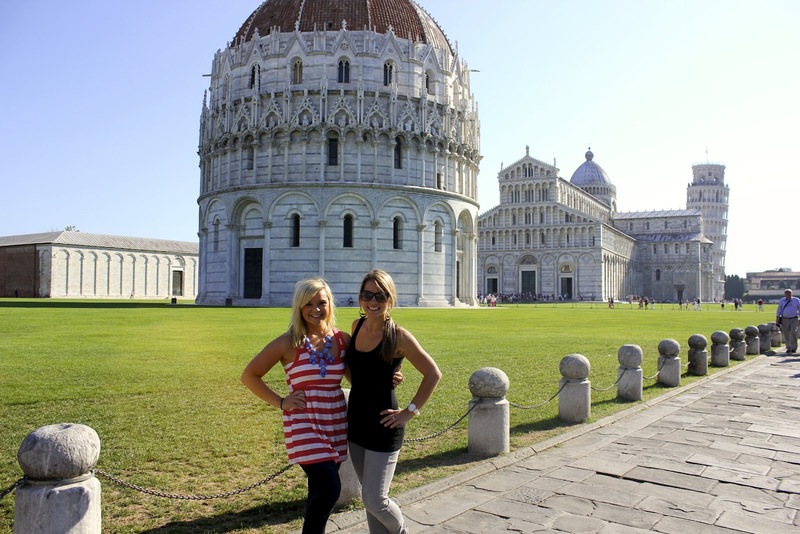 After landing in Pisa, we took a five minute bus ride to the main train station. 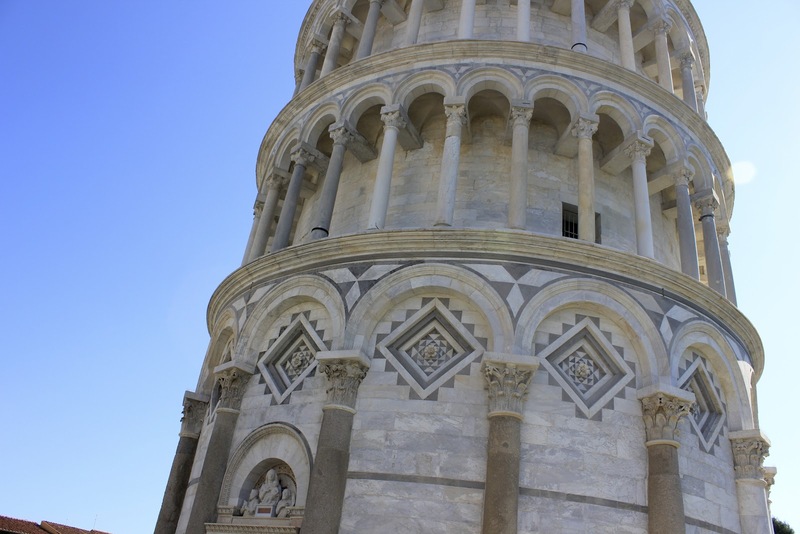 Since trains headed in the direction of Cinque Terre seemed plentiful, we decided to grab a Pisa site map and check out that crooked little Tower that everyone reads about in history class. From Pisa's train station, it takes 20 minutes to walk to Piazza del Duomo ("Cathedral Square") where you will find the infamous Leaning Tower of Pisa (Torre pendente di Pisa in Italian). 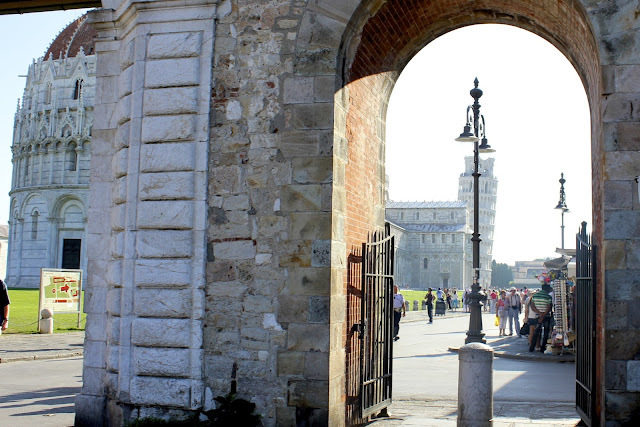 Pisa is a small city, so there's not much to see there other than the Tower. I am sure that there are adorable, hidden cafes and restaurants in the city, but all that we had time to explore was the Piazza del Duomo. 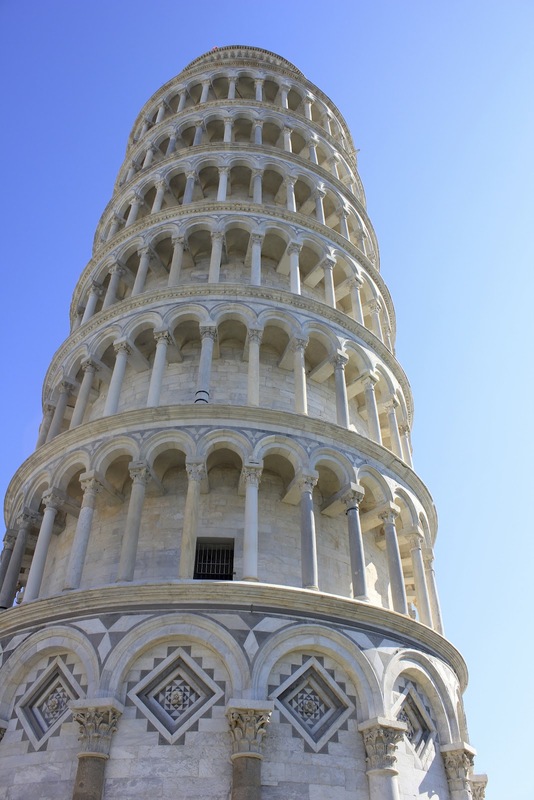 Construction on the Leaning Tower of Pisa started in 1173, and the famous tilt started in those initial construction stages due to a poor foundation. The tilt increased over time until the structure was finally reinforced in the 20th and 21st century. The tilt was actually slightly corrected during those recent reinforcements. I think she's leaning about as far as she ever will. Gotta keep that tourist attraction standing! Kayla and I had a great time and we were so glad that we took a little detour to see the Tower. We even took a few of those ridiculously cheesy "trying-to-personally-topple-the tower" pictures that every tourist has to get when visiting Pisa. 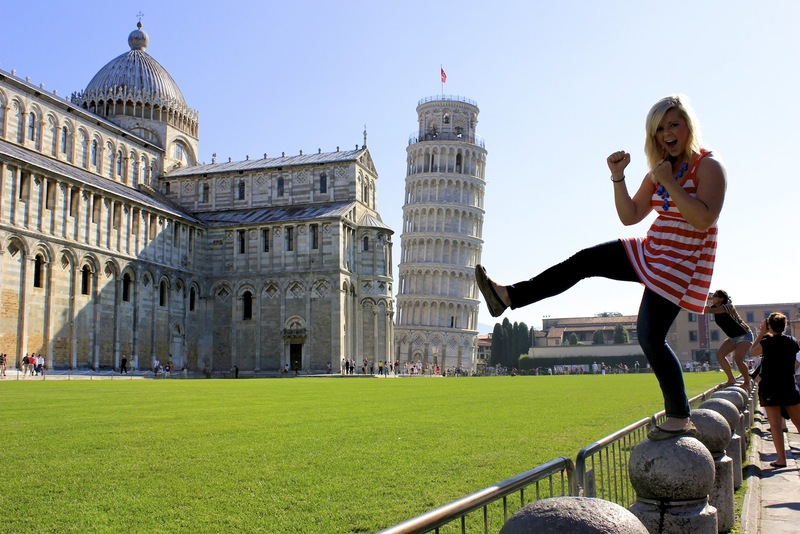 We also helped a few passing tourists frame and snap their own picture trying to push the Tower over. No one succeeded on that particular day. In Pisa, we made complete and utter fools of ourselves, and we were not ashamed. 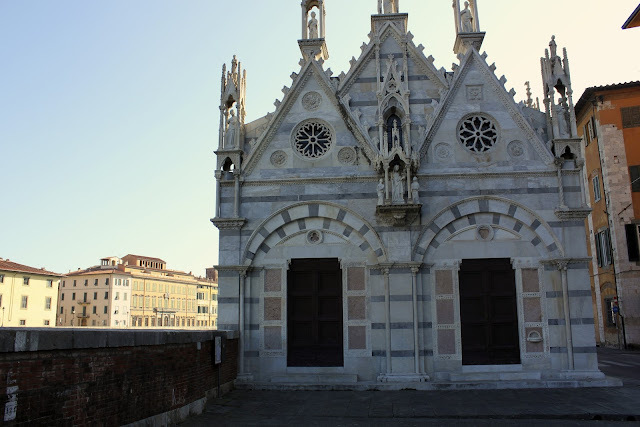 Santa Maria Della Spina Church along the river in Pisa before you get to the Tower. First glimpse of The Leaning Tower of Pisa as we entered the Piazza del Duomo. Looks like I got caught trying to destroy the Tower. I just learned of your blog and I love it! I am a VERY new travel blogger, also from Oregon, and love your writing and pictures. We were in Italy last November and loved it! As a new travel blogger (www.pinmytravels.com/blog), I am not sure on some of the etiquette, but I put your blog as a recommended blog on my site. I hope that is ok.
Can't wait to see more posts about your expat adventures! Isn't Italy just amazing!! It has become one of my favorite countries in Europe. 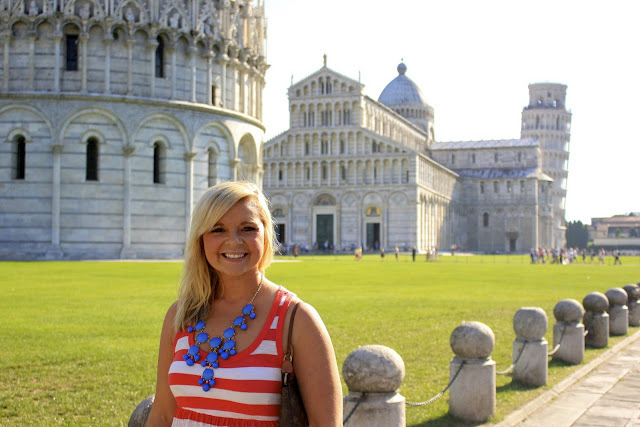 My hubby and I are planning a Florence/Siena trip in the Spring and I cannot wait! I will check out your blog too. Thanks for reading and posting!